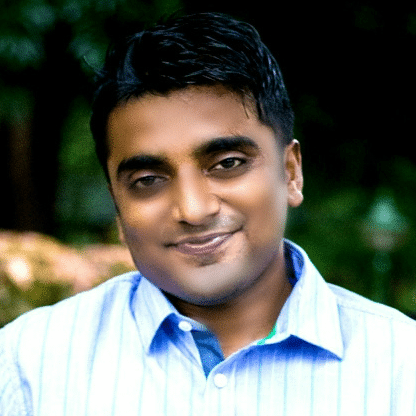 In order to help progressive educational enterprises acquire, serve and manage their students, ExtraaEdge develops software solutions for them, says Abhishek Ballabh, Co-Founder, ExtraaEdge, in an interview with Elets News Network (ENN). What was your vision behind establishing the company? To pursue their passion for education, founders’ Abhishek Ballabh and Sushil founded the company. During their jobs, both were used to teach and develop software. After going through various dimensions of education sector like learning, employability, flipped classroom etc, they found “Student Acquisition and Education Marketing” as the most prominent segment of education industry for their company to focus on. Student acquisition for educational institutes is a highly expensive and conventional segment that offers a $ 22.6 billion global opportunity including $ 1.6 billion of Indian share. The opportunities are primarily in the US, the UK, Canada, Germany, France, Australia and New Zealand. The last decade of the current century has witnessed the emergence of various companies in this segment. To pursue higher studies, more than five million students from all over the world travel to other countries. It is a big global business opportunity to help educational enterprises in finding the right prospective students by judging their behaviour and course intent. Moreover, it is also important to build a cost-effective and scientific data-driven enrollment decision engine for the educational institutes across the globe. Till date, the company has powered over 45 educational institutes in India thereby reducing their student acquisition cost and increasing their enrolment ratio. In order to provide best digital experience to your clients, which advanced advertising technologies are used by your company? Understanding the prospective students and their social behaviour is the key to sell courses and our platform (awaiting patent) exactly does that. The company is developing solutions for institutes to manage their sales and digital marketing expenditure. Solving student acquisitions by understanding their behaviour and using data-driven approach will help in understanding the course they wish for. We also have to integrate data driven approach with social media, various websites and mobile friendly smart solutions to understand students’ requirement. Our business model is based on the leads we generate. We also use Search Engine Optimisation (SEO) enabled landing pages for institutes integrated with Ad-words and Ad-sense campaigns. What according to you is the importance of Augmented Reality and Virtual Reality for developing the products as per the customers’ requirement? The two technologies have less scope as far as student acquisition space is concerned, however, these two technologies are very much required for 21st-century learners to enhance their learning capabilities. In future, Augmented Reality and Virtual Reality will help the students in immersive learning. Please explain about Multi-touch Technology and Gesture Based Technology? With the evolution of iPads, tablets and smart phones, sales and marketing automation software of ExtraaEdge provides its customers anytime and anywhere availability of their sales report. The company focuses majorly on mobile applications that have taken a huge prominence as far as usages are concerned. On gesture-based technology, it’s more immersive & applicable for K12 & learning domain. Please provide a list of your clients and explain the kind of products you are developing for them. We help educational institutes to enhance and manage their admissions. We deliver value to institutes by reducing student acquisition cost, enhancing counsellors’ efficiency, brand recall, mobile presence and social engagement. Qualifying Leads via our patented methods – to analyze students’ digital footprint and intent behavior via our analytics. Persuade Leads to provide seamless communication & automated workflows for counselors and admission team for converting leads to enrolments. Generating Leads via innovative social, gamified & online channels. Aptech India, SEED Infotech Pvt. Ltd., BSE Institute, D Y Patil Group of Institutes, MIT Institute of Design, MIT Skills, ISDI Mumbai, Ecole-Intuit Lab, SeamEdu, ASM Group of Institutes, Amplify Mindware, ICA Group, MIT School of Broadcasting & Journalism, Akemi Group of Institutes, Times & Trends Academy, INIFD etc. What are your plans for future and pipeline projects? We are planning to expand our business in the southern region of India along with penetration in the Northern vocational training and coaching market. Along with this, we are trying to engage new clients in Middle East Asia Region for various pilot projects and to enter in the international market. We are also building a product roadmap with data science capabilities to understand student’s intent and behaviour for helping institutes to make smart enrolment decisions.